Brilliant! Awesome! Loved it! Everything I wanted and more! It’s been a while since I’ve posted a film review, as I’ve been waiting for my new website to go live. And I can’t think of a better horror film to launch my new site than Pet Sematary! You can probably tell by my intro I enjoyed the film, and I did; I loved it. For once, it was a horror movie of consistency, with a fantastically chilling ending. Now, I have yet to read the book (ordered last night) and so I am in a good position to be objective. Fans of the book may not be so charitable. The story revolves around a family moving out to the country to lead less stressful lives. Rachel, the mother, carries with her the childhood trauma of her sister’s death, but I think Lewis, the father, is also trying to escape something; you never find out what it is though. The couple have two children, Ellie aged 9 and Gage aged 2/3, plus they have a gorgeous cat called Church. The idyllic house they thought they’d moved to has one huge flaw – a main road along which huge tankers travel at breakneck speeds. Lewis is a doctor and on his first day he has to deal with the victim of a road traffic accident, the special effects on whom are out of this world, and the ghost of this boy haunts Lewis throughout the film. The ghost also says something to Lewis about not being able to go back once the barrier has been breached (I don’t know the exact wording). Again, this hints at something in Lewis’ past we, as the audience, do not know. The death of Church leads Lewis to discover, thanks to their elderly neighbour Jud, an ancient burial ground of sorts on his land, beyond the Pet Sematary. It is the soil of the burial ground that is important as, for reasons no one knows, it can bring things back from the dead. The critical morsel that Jud fails to tell Lewis is that things don’t come back the same, leading to the immortal line – ‘sometimes dead is better’. Church becomes evil personified and Lewis tries to get rid of him but fails, a failure that results in the horrific accident which seals the fate of the family and sends Lewis descending into madness. For those wanting a reproduction of the book, I think you will be sorely disappointed. The big giveaway that it is not true to the book is the credit of Matt Greenberg as the writer of the screen story (there was also a screenwriter). If you go to see it with an open mind, I fail to see how you cannot enjoy it. The acting, especially from the young actress who plays Ellie, is excellent, the special effects are spot on, the pace is good, the blood and gore is just right, and the thrills and chills are all there, especially at the end! Now, I know there are many people raving about this film, but I’m afraid I am NOT one of them. Having seen Get Out and loved it, I was waiting with bated breath for the next offering from Jordan Peele. I was very disappointed. This film is nowhere near the standard of Get Out. The opening credits show hundreds of caged rabbits, setting the scene for something which would probably be an experiment of some sort (which it was), but this is soon forgotten as the story unfolds and we see a young Adelaide Wilson coming face to face with her doppelganger, after wandering away from her arguing parents at a funfair. The film cuts there and jumps forward several decades to Adelaide returning to Santa Clara with her family, the ghosts of the past still troubling her. Her fears come true when four masked strangers appear in their driveway and force their way into the Wilson’s home. If that isn’t scary enough, the strangers have another shock in store for the Wilson’s when they remove their masks and reveal themselves to be the Wilson family’s alter egos, so to speak. Adelaide’s counterpart explains that they are the shadow side to the Wilson’s and that whatever the Wilson’s experienced in life, they experienced it far worse. At this point, I found this to be an extremely interesting story and started to think the film was depicting the two sides to our personalities – light vs dark, good vs evil etc. – with a battle ensuing to see which side would win out. I saw it as a way of ‘explaining’ why some people follow a virtuous path while others follow a path of sin. This idea cemented itself when I saw that it wasn’t only the Wilson’s that were affected, but the whole country, with the shadow people sometimes winning over the normal people, thus adding weight to my theory. Sadly, I was wrong, and the real meaning of these shadow people is actually some sort of government experiment, which made no sense whatsoever to me. The link to the ‘Hands Across America’ event passed me by as well. This film could have been sooooo good, but the reasoning for these shadow people made little sense and hence ruined the film. The film also didn’t seem to have a proper ending, which is a huge ‘no-no’ in my book. I’m not going to say don’t watch it, I’m just going to warn you to be prepared for confusion. Despite Michael Myers not being my favourite horror movie character, I have been itching to see this movie, and I have to say, I was not disappointed. Why would I say Michael is not my favourite? Well, it’s simply because I have never found him to be a believable character. When all is said and done, he is human, and yet he has come back from the dead so many times. Yes, these resurrections have been conveniently written to state that it wasn’t him who died, but still. So, why have I been eagerly awaiting this movie? Because this is not the next in the franchise, it is actually a direct sequel to the original movie. Yes, I know there was a sequel, but, being Hollywood, this has been brushed aside and this version is set 40 years after Michael was captured for the babysitter murders and incarcerated in Smith Grove Hospital. Given it is set on Halloween 2018, it is also futuristic! He is also no longer the brother of Laurie Strode, and yet he is still inexplicably obsessed with her. The movie opens with two ‘British’ reporters visiting Michael in Smith Grove and trying to get a reaction out of him by showing him his mask. It doesn’t work and they instead go to visit Laurie, who is equally closed lipped about the past. Due to the age of the case and the fact that Michael won’t talk, he is being moved to a more prison like hospital. It is during this transfer that he escapes, by somehow overpowering the bus and running it off the road. He then begins his somewhat indiscriminate killing spree, starting with those pesky journalists. The movie is very much in keeping with the original, from the credits to the Boogeyman references, the three teens walking through Haddonfield to the babysitting link, the ghostly shape under the sheet to the falling off the roof and then disappearing. They are all skillful homages to the original. What I really loved about the movie, and which I don’t think comes across as much in the original, is the cold, calm and dispassionate way in which Michael commits his murders. This in itself is chilling and shows clearly how a true psychopath views human life. John Carpenter has described Michael Myers as “almost a supernatural force – a force of nature. An evil force that’s loose, a force that is unkillable”. This is certainly true in this movie, when we see several attempts on his life which would have spelled the end for us mere mortals. I did thoroughly enjoy this movie. The filmmakers have created a believable world for us and, in some sense, a believable bad guy. I just can’t let go of the fact that he is human and not supernatural, but this in no way spoiled the movie for me. 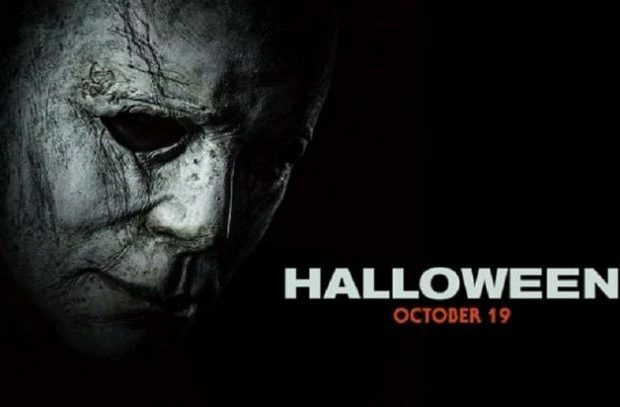 Look out for the ending, and let’s see what conclusion you come to for the future of the Halloween movies! Enjoy and be brave; he doesn’t bite! WOW! Yes, it’s in capitals, it isn’t a mistake. I was completely blown away by this film; The Conjuring universe never disappoints. I have talked in my blogs about the key to a great horror film being the right mix of terror (the build up) and horror (the release) and this movie has nailed it, which doesn’t surprise me, as all of the offerings from this franchise have delivered. Does it mean it scared the crap out of me? No, it doesn’t. Does it mean it had me on the edge of my seat, wondering what was going to happen, craving the event almost? Yes, it does. You might be wondering where my release was, as you know we all need the release, and it came with the flutter in my heart and the smile on my lips. 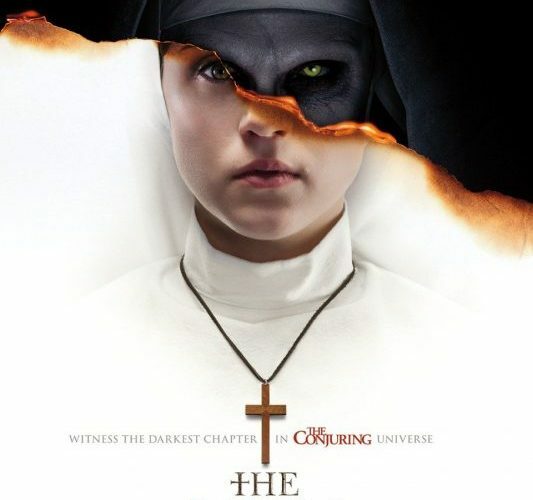 The Nun is a supernatural tale of an ancient “big bad” which had been imprisoned beneath a convent in Romania many moons ago. The nuns cloistered at the convent were the guardians, and their job was to ensure that no one came to break the seal (Christ’s blood) and let the evil back out. That’s all well and good, but ancient seals are no match for WWII bombs, and when one is dropped on the church it smashes the seal. Now, the response of the church to said problem is to ensure that the nuns cloistered there are constantly praying, to up the holy ante in the convent. Not only that, but the place is absolutely riddled with life-size crosses. To keep the evil out, you may think, but no; the crosses are to keep the evil in, should it escape…which it seemed prone to do. The evil had worked its way through the convent until the last nun took her own life, in a last ditch attempt to stop it ever escaping into the world at large. Suicide, as you may be aware, is a sin in the catholic church and so an investigative priest and a young nun, yet to take her vows, but blessed with second sight, are despatched to investigate, with the help of the local man who found the nun. Living nightmares, hallucinations, ghosts, possession, chills and bloodshed all combine to make this mystery, a horror movie worth seeing. As to whether there will be a sequel…I’ll let you decide ? It’s taken me a while to post this review as I’ve been trying to work this film out and, to be honest, have come to the conclusion that there’s nothing to work out. Slender Man is quite simply the product of nightmares and scare stories. Quite frankly, I think this is great. Isn’t this, after all, what all scary movies should be? When we were kids it was the products of our nightmares that used to scare us, and these nightmares, quite often, had no reason behind them; they just scared the crap out of us. As adults we try and find a justification for everything that scares us, maybe trying to ‘unscare’ ourselves by concocting a convincing story. Slender Man is a modern myth, invented not that long ago. Most myths are based in reality and I would love to know what created this one! 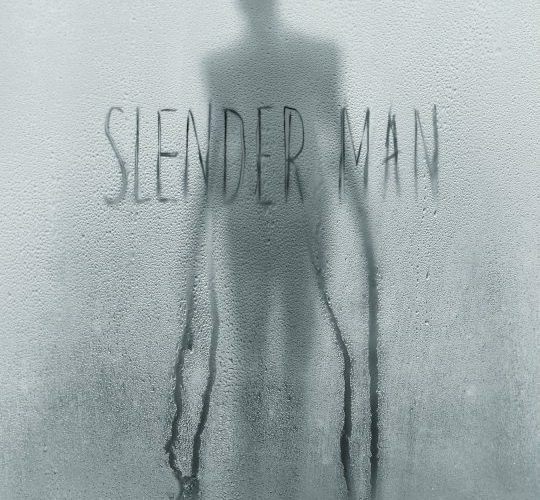 In a similar vein to The Ring, Slender Man is summoned by watching a video and listening for the tolling bells. When you hear the bells, you’re supposed to close your eyes and focus. When the three tolls cease, you open your eyes and look into the film you are watching. For those truly drawn, you will see him. A harmless bit of scary fun you may think, well so did the young ladies whom the film follows. They watched the Slender Man video as the group of guys they were friendly with said they were going to watch it. As is expected, the girls didn’t wimp out, but the boys did. The legend of Slender Man says that once you have seen him you can’t unsee him, and he will either haunt you, send you mad, or, if you are lucky, he will take you. There are numerous videos on the internet of him praying on young children. He can be summoned, and this is what the girls tried to do after one of their own was taken. They offered up sacrifices (items that they truly loved) in exchange for her safe return, but it didn’t work. The sacrifice that Slender Man really required was something far more corporeal than that. I won’t say any more about the movie as it would take the edge of it for you. What I will say is that it is a very good supernatural movie and, whilst it didn’t scare me, it certainly had me on edge as to how it was going to play out. It is great to see a truly supernatural horror movie; a movie of nightmares. The filmmakers did a good job in convincing us that Slender Man is real AND in building a believable world around the myth. Definitely worth a watch, especially if you were plagued by senseless nightmares as a child. I have a confession to make, I haven’t seen the first one, but I have been reliably informed that you don’t need to AND that the first one is better…Why? Because it is supernatural, whereas this one isn’t. Anyway, back to the movie. I was actually very impressed with it, to be honest – which says it all, I know. I honestly didn’t think I would be, because you are basically watching a Skype call (as this is what the cast are on) and I honestly didn’t think I’d be able to sit through it. The story, however, soon drew me in. The main character, Matias, is trying to prove to his deaf girlfriend that he is making an effort to communicate with her in her language. He has created a computer app which translates speech into sign, and he is demonstrating it to her. In the background, we are aware that it is also ‘game night’ that evening and the gang are due to get together, but she says she won’t be there. As the gang all sign into Skype for game night, it soon becomes apparent that something is not right with Matias’ computer. It is definitely pre-owned as all the social media log ins are for a different person. His curiosity gets the better of him and he logs in as this person. Initially, all he sees are messages from gorgeous women trying to get hold of the owner of the log in id, but soon the messages start to turn sinister and we see Matias becoming increasingly uncomfortable. He admits to his friends that he ‘found’ the laptop and enlists his computer savvy mate, Damon, to try and help him explain what he has inadvertently let himself in for. I’m not going to tell you anymore, as it would spoil the movie. All I will say is that it is definitely worth a watch. Oh, and it IS game night, but not the one they think they’re participating in. The end of the movie has a twist which I didn’t see coming (which is a very good thing, by the way) and, although the movie didn’t scare me, it certainly made me uncomfortable. Put it this way, I came home and immediately put a sticker over my webcam! Well, Scream Unseen certainly pulled out all the stops with this beautifully haunting tale about a family, driven into exile by a murderous and abusive father. On arrival back to their mother’s childhood home in the USA, the Fairbairn family change their name to Marrowbone – their mother’s maiden name – in an effort to escape their horrific past. The siblings make friends with a young woman – Allie – who soon becomes part of the family and whom the eldest, Jack, falls in love with. The joy and anticipation of a new start, however, is quickly shattered as their mother succumbs to illness and Jack is left to care for his brothers and sister in a world where, until he is 21 (several months away), the law will not allow him to do so. The family remain hidden in the dilapidated house, with only Jack venturing out, until one day their world is, yet again, blown apart by the arrival of their father, who has somehow escaped prison in the UK and tracked them down. The story then jumps forward several months and, although you are initially puzzled as to what happened with their father, the filmmakers soon draw you back in to the story of everyday family life as the siblings learn to make a living by selling cakes, that Jane has made, in the town. As Jack has yet to reach the age of 21, the fact that he is the only one who strays into the town is not unusual. What is unusual is that Allie is no longer allowed to visit the house and the remaining siblings – Jane, Sam and Billy – are forbidden from leaving it. It is only when Jane appears suddenly at Jack’s ear while he is bathing, and he doesn’t flinch, that my mind started to go into overdrive as to what was actually going on. I knew that one of them wasn’t really there, but the skillful way in which the scene is put together, makes you unsure of quite which one it is. As the movie progresses Jack’s health deteriorates and the siblings take it into their own hands to make contact with Allie and request her help, as she is the only one who can help Jack. How do they do it? By giving her a journal that Jack had been keeping, which tells the family’s story, and which Jane completed…or did she? It is through Allie’s reading of the journal that we learn of the horrific crimes of their father and, more importantly, of what happened the day he appeared at their door. It is this revelation that creates the the ‘ah, of course’ moment, before the movie takes us on an emotional journey, as we discover the harrowing truth and the devastating consequences of that day. The suspension of disbelief is a given with this movie, as it will resonate with anyone who has suffered a traumatic and heartbreaking loss. Well written, well made and extremely well acted, I cannot find fault with it – high praise in itself! The Secret of Marrowbone is THE best supernatural film I have seen in a very long time and I would highly recommend it to everyone. I do have to wonder who actually writes the comments that go with movies and whether they have actually seen the movie. The people who wrote the comments for this movie clearly have not seen it. It isn’t scary, terrifying or any other fear filling adjective and it most certainly is NOT in the league of The Shining, Psycho or The Exorcist. In fact, the movie makes such an out of the blue right turn that I very nearly walked out. It was almost as if they had taken two different movies and randomly spliced them together OR, more likely, a vital connecting scene is lying on the cutting room floor. Shame on you filmmakers!! The movie is very very slow to start as too much time is taken to build the scene of life in this family. There is a wacky grandmother who has recently died, and we learn that she was estranged from her daughter (Collette) and that she was extremely secretive. The secrets start to build through the bedroom door that remains closed, the mysterious words that appear on the walls, the strange orb that surrounds the little girl (Shapiro) and the unnatural connection that the grandmother and granddaughter had. But then the movie focuses in on the impact of grief on a family and how it rips them apart. Stellar acting from Toni Collette on this front. Her grief was so real (and it wasn’t for her mother) that I had tears running down my face. Schizophrenia runs in the family, and as Collette is trying to undo what she has set in motion she exhibits signs of someone who has completely lost their connection with reality. It is at the climax of this – the husband’s (Byrne) realisation – that the film takes that abrupt turn and goes off on one hell of a tangent. Yes, there are various hints at demonic interest found within the grandmother’s possessions, and yes, it was strange how a supposed member of a grief group could suddenly channel spirits, BUT there was not enough shown to the audience to enable us to suspend our disbelief and accept that what we were now seeing was real. You will notice that I am deliberately not telling you anything about the story. Not that I would encourage you to see it, but I don’t want to spoil it for you if you do. Suffice it to say, there is one particularly shocking scene that even had me saying ‘Oh my God’, so unexpected and well done was said scene. Anyway, in the about turn, the satanic worship/demon following/cult element came to the fore, BUT it didn’t make sense. It was extremely poorly done and the final scene in the treehouse was, well, appalling. No explanation was given as to what happened to Collette’s character, it was just presented as a fait accompli…..er, not a good idea!